We introduce today EMF Shielding Pouches significantly discounted, tested, and approved for our customers. These pouches will be shipped direct with discounts for volume orders. 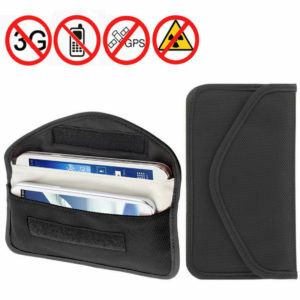 The exciting thing about this as it relates to our sister sites (www.FaradayCageConcepts.com, www.FaradayCaps.com, and EMFFix.com) is that a simple test can be conducted using these pouches that demonstrates the power of simplicity. 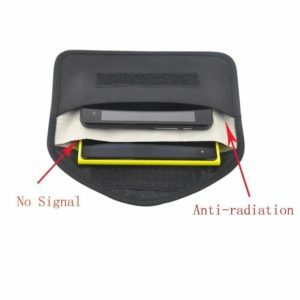 One can take one of our pouches, place their cell phone in it, and then dial their own number and see that it effectively blocks radio waves. THE PHONE WON’T RING! This is powerful to demonstrate that not only are we constantly being bombarded with radio and EMF signals, but we can effectively block them. 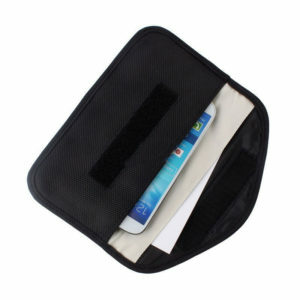 These pouches are quality made using our own shielding material/fabric. These are long term effective at shielding credit cards from being read, to shield computer chips, components, phones and such from being “read” remotely by strangers. BUY NOW, and we will ship a Bonus Gift with your purchase! ($20 value gift). The gift is a book, “THE ANSWER TO CANCER: A SIMPLE SOLUTION FOR THE WESTERN CONDITION”, so you can protect your belongings with the pouch and improve your health very simply using a proven approach. This is to thank you for shopping with EMFFix and FaradayCageConcepts. FaradayCaps.com – Our own Faraday Cap blocks EMF, Microwave, Cell Tower, etc. FARADAY CAPS (www.FaradayCaps.com) is very simply EMF shielding for the head. Head covering (caps, hats, etc) are critical to protecting the brain and central nervous system headquarters from harmful radiation, cell tower, cell phone, EMF, fluorescent light emissions, and a host of very harmful emissions. Our modern environment bombards our systems daily with massive amounts of Electromagnetic Frequencies. Many are harmful. The concept of the Faraday Cage is what the vast majority of Electromagnetic Shielding and Protection is based upon. For those new to EMF Remediation, Protection, and Correction we will explain this using some common online/web-based information. We represent and have developed a number of EMF Protection and Shielding products as well as affiliate/represent a number of other quality manufacturers. We partner with high quality product developers and manufacturers, and offer profit sharing opportunities for those wishing to obtain products at less than retail cost. One of our most recent products is the Faraday Cap, www.FaradayCaps.com, which is much like a Faraday Cage for the head. Our parent group, www.TheBrainCan.com, brought us the concept of lining baseball caps and other head covering with a mesh to block EMF interference. Under test these work marvelously and our head injury contacts are seeing huge gains. The utilization of the blocking fabric our manufacturers use produces as fashionable, well functioning product to protect your head, brain, and nervous system from EMF effects. In many overseas markets (Europe, Asia, Middle East) their acceptance and utilization of EMF Shielding products, clothing, bedding, and equipment is used due to a heightened awareness of the risks. Also, certain fields of study and military are keenly aware as shown in the documents we release following the U.S. Naval release of documents in 1972. Meanwhile, we have partnered with military clothing suppliers for protective EMF Shielding. 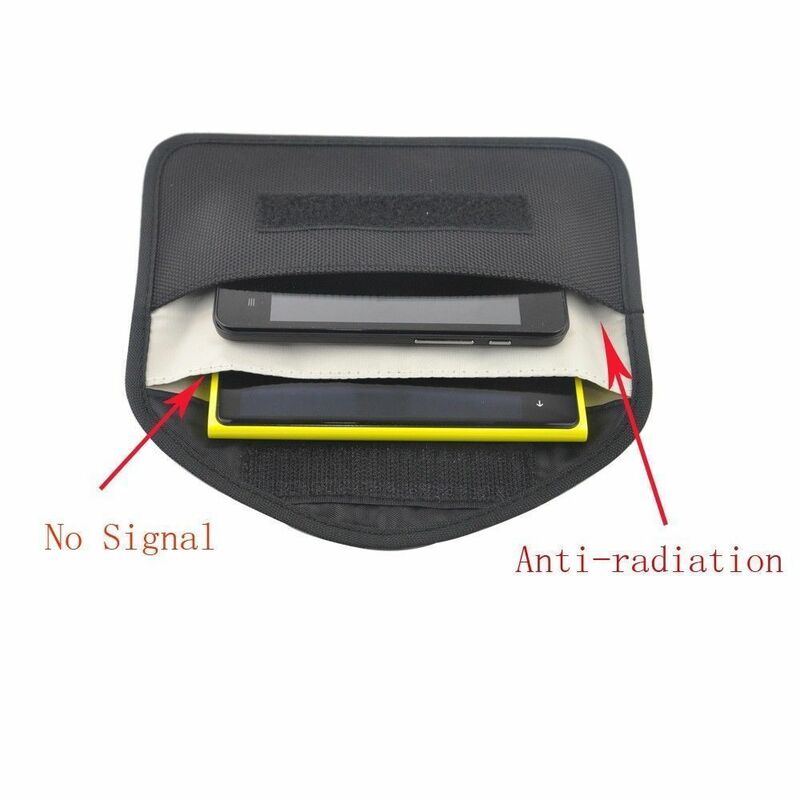 This provides high quality EMF Protection and Filtering for many of your needs. Our offering and partnerships increase daily so stay tuned. A Faraday cage or Faraday shield is an enclosure used in order to block electric fields. 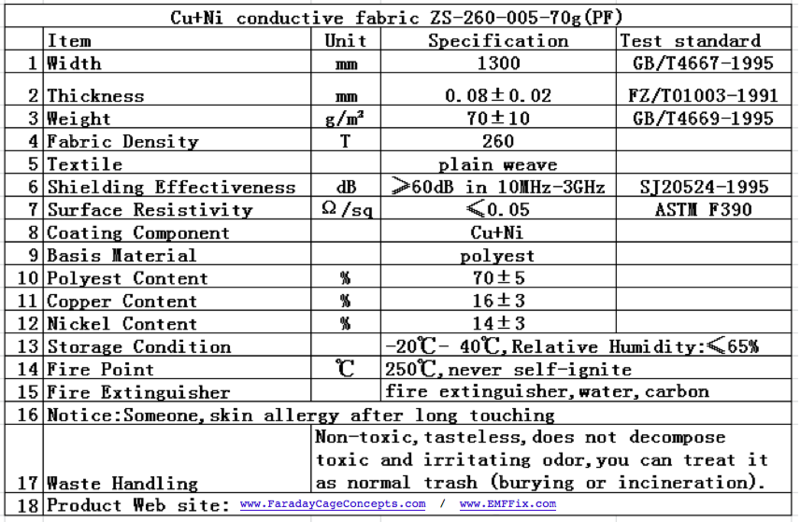 It is formed by conductive material or by a mesh of such materials. Faraday cages are named after the English scientist Michael Faraday, who invented them in 1836. A Faraday cage operates because an external electrical field causes the electric charges within the cage’s conducting material to be distributed such that they cancel the field’s effect in the cage’s interior. This phenomenon is used to protect sensitive electronic equipment from external radio frequency interference (RFI). Faraday cages are also used to enclose devices that produce RFI, such as radio transmitters, to prevent their radio waves from interfering with other nearby equipment. They are also used to protect people and equipment against actual electric currents such as lightning strikes and electrostatic discharges, since the enclosing cage conducts current around the outside of the enclosed space and none passes through the interior. A common misconception is that a Faraday cage provides full blockage or attenuation; this is not true. The reception or transmission of radio waves, a form of electromagnetic radiation, to or from an antenna within a Faraday cage is heavily attenuated or blocked by the cage. However, a Faraday cage has varied attenuation depending on wave form, frequency or distance from receiver/transmitter, and receiver/transmitter power. Near field High powered frequency transmissions like HF RFID are more likely to penetrate. Solid steel cages generally provide better attenuation over mesh cages. 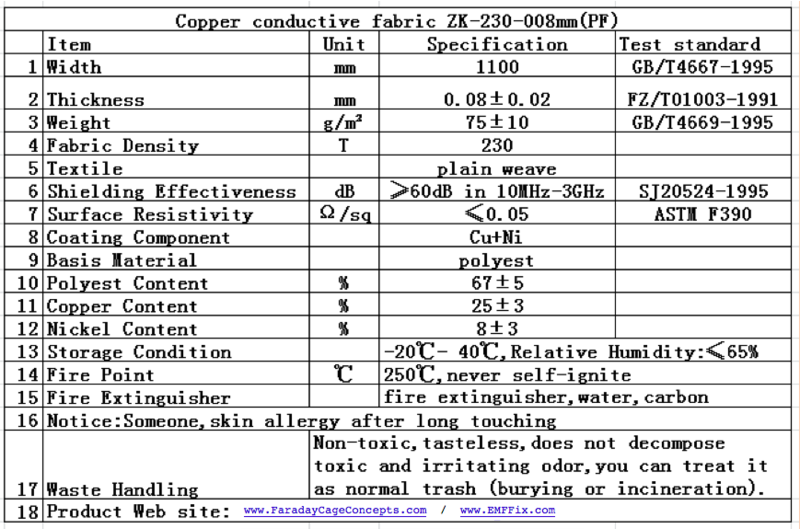 Here are the official tested specifications on our primary selling Copper/Nickel Fabric, followed by a more premium product (wider and more nickel). 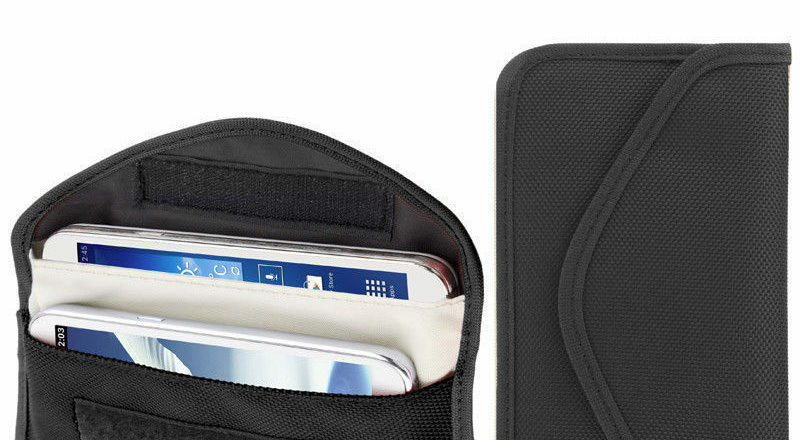 The premium fabric has an additional option of being adhesive backed (peel and stick) making it unique in its application in this market.